I started working on the final installment of The Amargosa Trilogy yesterday. I’m doing something different this time. I’m writing it as a screenplay. One problem with science fiction, space opera in particular, is the tendency to write long passages of exposition. Sometimes, it’s unavoidable, but once it’s in, it’s hard to pull out. 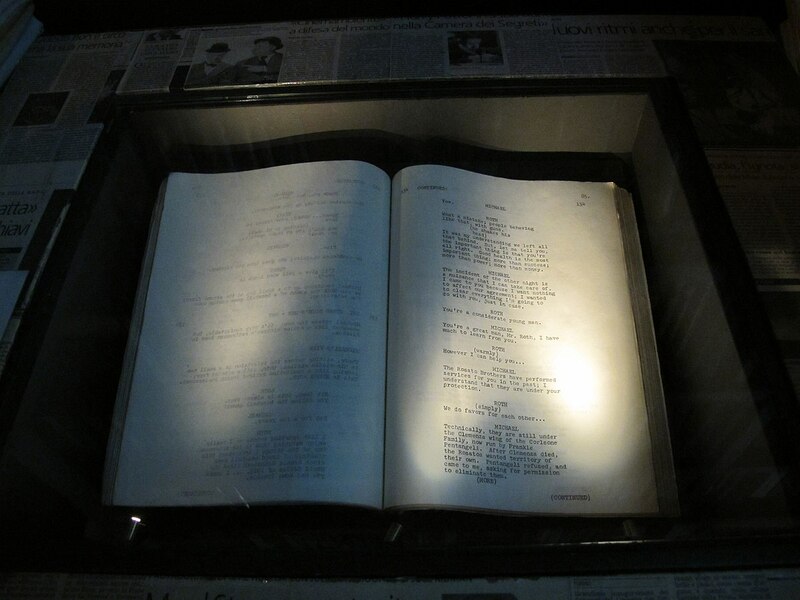 Writing a screenplay forces everything to be shown, not told. I’m not completely slavish to the “show, don’t tell” maxim. Sometimes, the reader needs to be able to see where the characters are. A little backstory – within reason – doesn’t hurt. And sometimes, you just need to get to the point. Choose wisely, however. Someone has to read this eventually, and you want to keep them engaged. Writing a screenplay doesn’t allow for much exposition. Everything on the page is designed to be shown on camera. So you can only depict what can be seen and heard. Believe it or not, not everything is dialog. That should not be surprising. 2001: A Space Odyssey is 2 hours, 41 minutes long. It has only 88 minutes of dialog, with two segments over twenty minutes long with no dialog whatsoever. Writing like this helps keep the bloat out of the eventual prose. The master at depicting an entire world through a play was Shakespeare. (Well, duh!) Shakespeare’s work contains very little set or costume description. And stage direction is also at a minimum. The weather and setting come from dialog. As a result, Mel Gibson can do Hamlet in a medieval English landscape while Kenneth Branagh sets his version in a Russian palace with turn-of-the-19th-century clothing. My favorite is Richard III. Ian McKellan crafted a War of the Roses set in the 1930s as a struggle against a fascist York regime. A few weeks after I saw this movie, I went to see the Cincinnati Shakespeare Festival’s version, in which the titular Duke of Gloucester was a greasy-haired biker. A side benefit of this is speed. I can write a scene in a script faster than I can spin that same scene in prose. It also makes the scenes easier to visualize. What’s happening here? How do I show that? When it comes time to convert this to prose, I’ll have a detailed frame to hang this on.